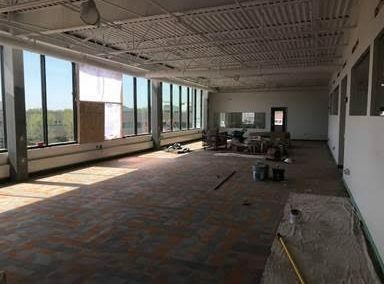 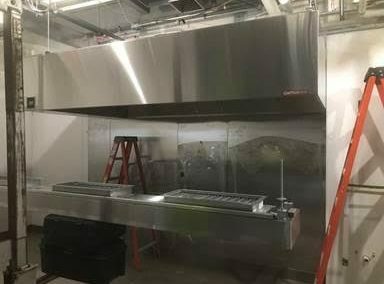 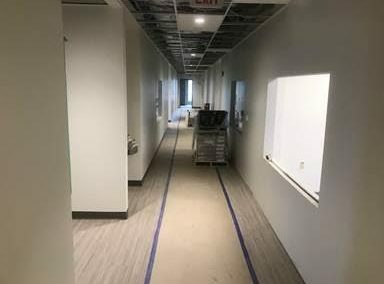 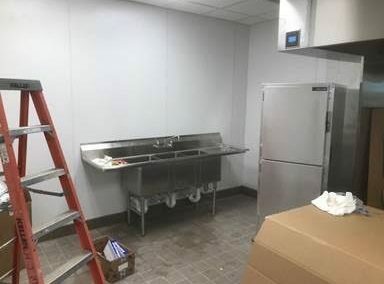 This month most of the flooring and ceiling tile were installed on 1st floor and kitchen equipment started to get installed. 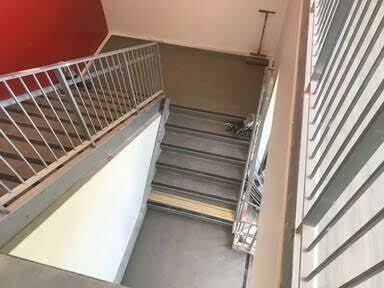 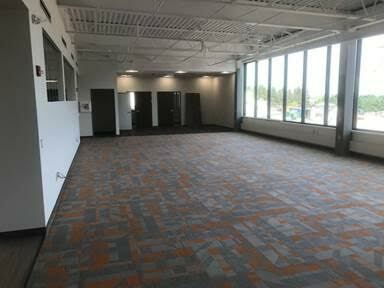 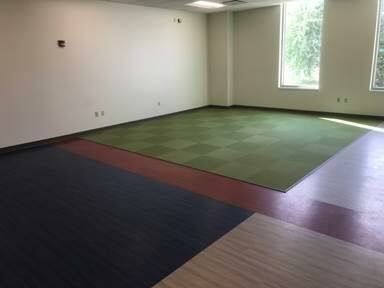 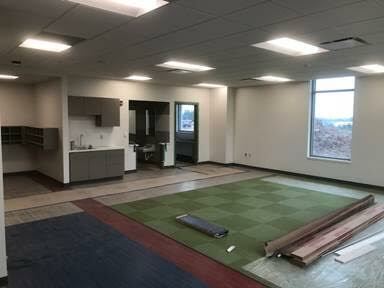 Most of the flooring and finishes were installed on 2nd floor. 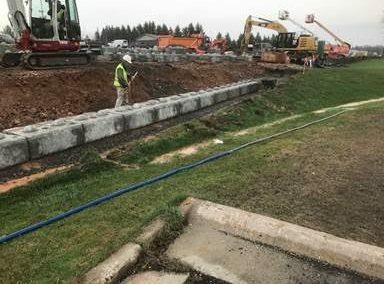 We also continued with the longboard on the South side and started to install the retaining wall block. 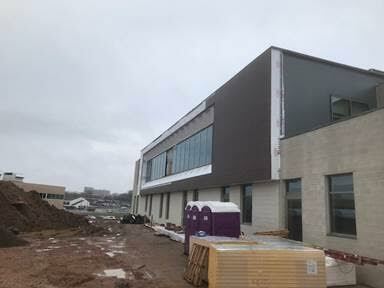 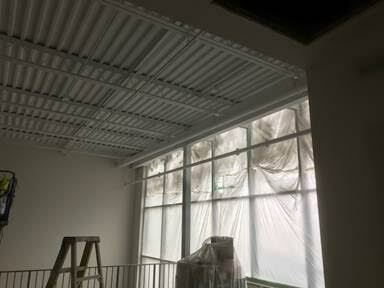 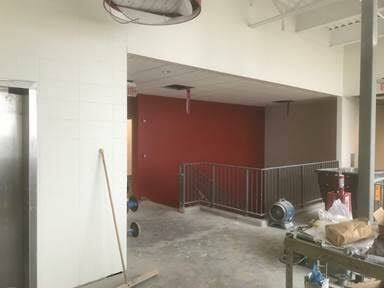 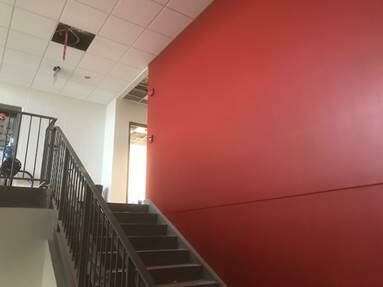 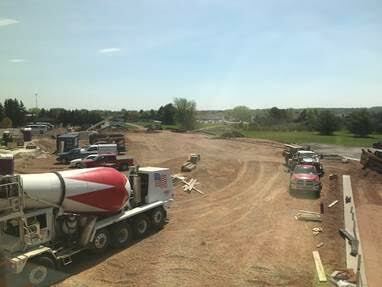 We started to add some color to the building and the 1st floor is starting to look more like a finished building. 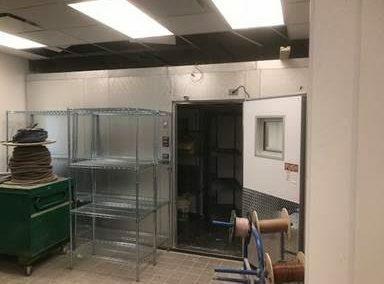 We also fired up the roof top units this week and we are now able to condition the space. 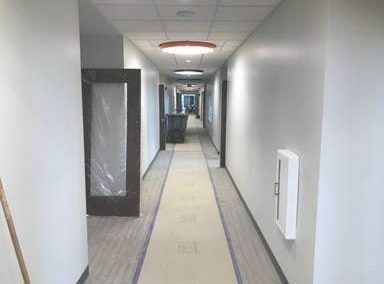 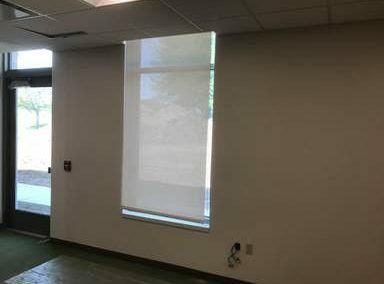 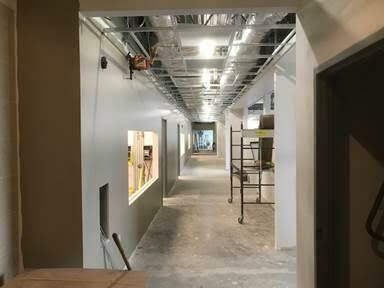 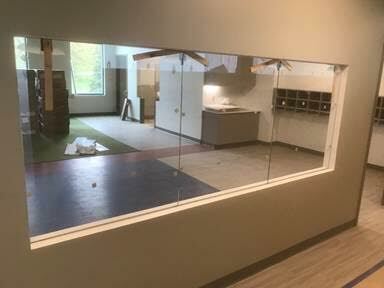 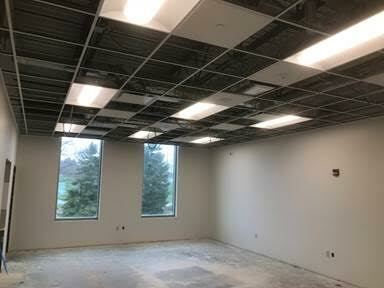 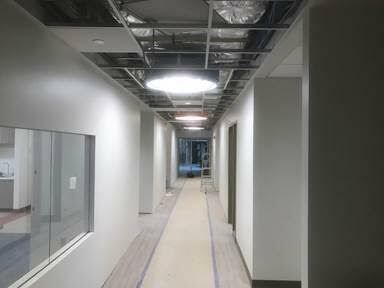 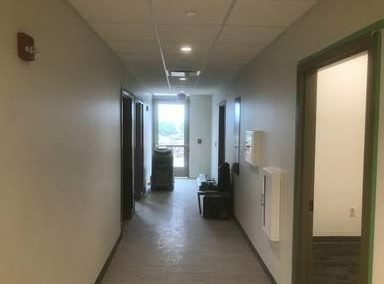 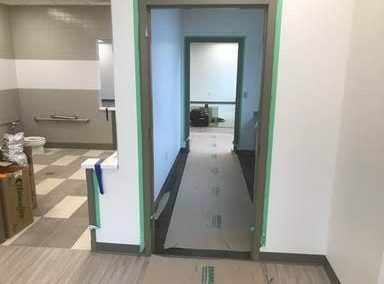 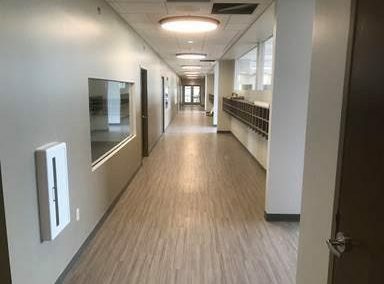 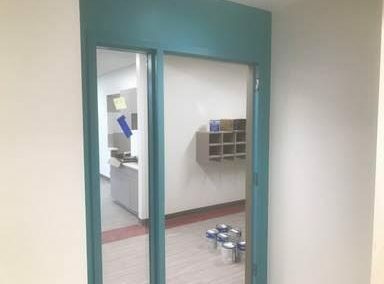 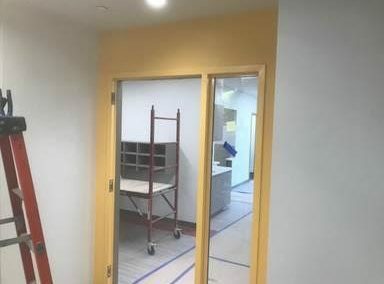 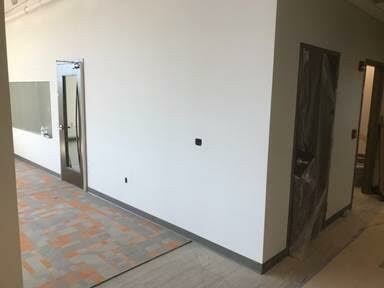 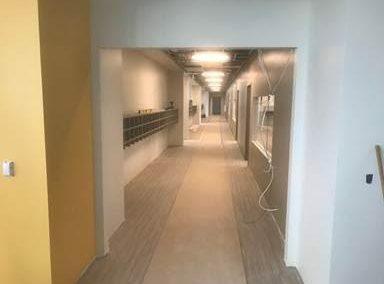 We started to hang doors this week and install the hardware and finished painting and the flooring in the large learning center room on 2nd floor. The rubber stair treads were installed and we also installed the window shades. 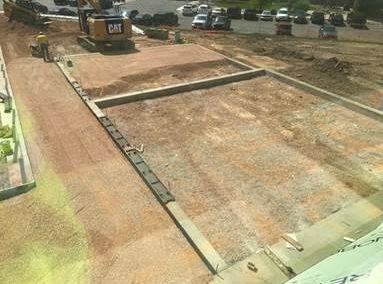 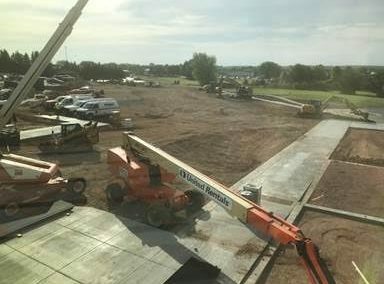 With the nice weather this month we were able to finish the site concrete for the parking lot and got it ready for blacktop. Towards the end of the month we were able to get the final cleaning done on 2nd floor and installed more of the kitchen equipment. 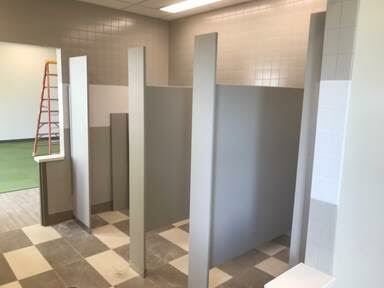 The bathroom partitions were also installed.